Bengalis love Jhol to have it with hot steam rice. Jhol are usually light, liquid gravy. 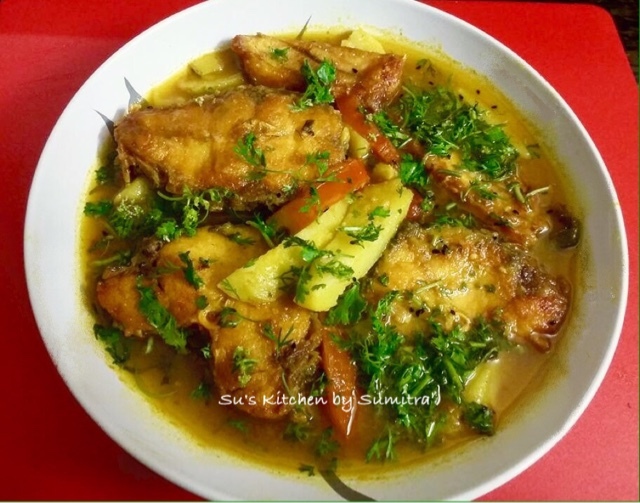 Jhol can be made with fish, meat or vegetables. The Jhol ingredients can vary according to the recipe. 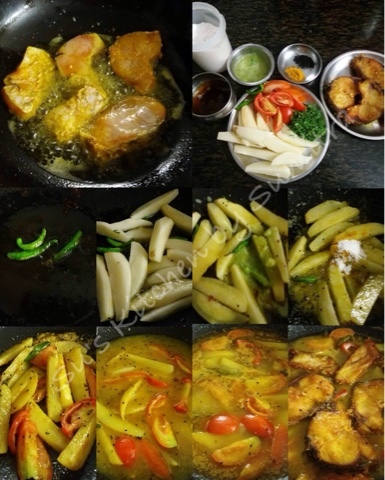 Here today I have made Jhol with fish and potatoes. Other vegetables can be added as per the availability. 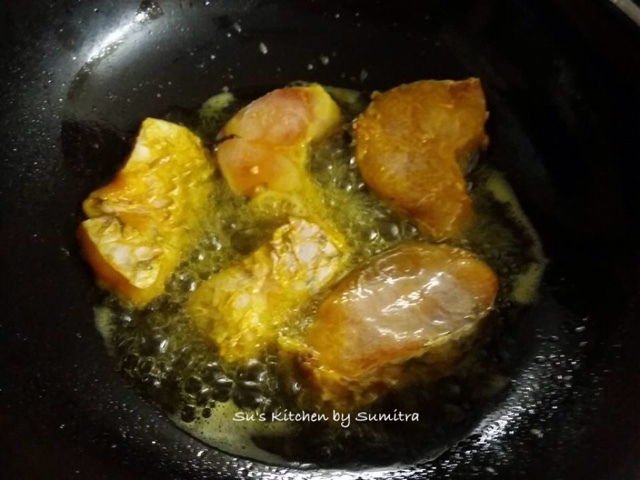 Marinate the fish with salt and turmeric powder for 10 minutes. Heat the mustard oil till smoking point. Lower the heat. Fry the fish till brown on both the side. Take it out on an absorbent paper. Use the same wok in which the fish was fried, take out the extra oil and keep 2 tbsp oil in the wok. Heat the oil, add Nigella seeds and green chillies. Saute it for a minute. Add the potatoes, stir fry for 2 minutes, add the ginger garlic chilli paste. Saute it for 3 minutes. Add the salt and turmeric powder, stir for a minute. Add the tomatoes. Saute it again for 2 minutes. Add 2 1/2 cups of water. Let it boil and then let it simmer till the potatoes are cooked. Add the fish and simmer for 2 minutes. Switch of the flame. Sprinkle coriander leaves. Serve with hot steam Rice.